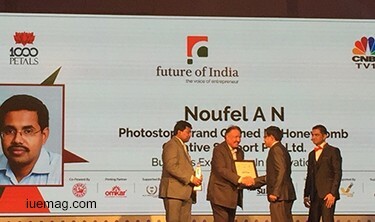 1000 Petals organizes Future of India awards 2016 to recognize growing business leaders from various domains, who have continued to perform and excel businesses. Read on, to know about the selection process, jury, awardees, guests and the other happenings of the event. The need for recognition has always existed, especially in the start-up space where the competition to be better than others has always increased. The recognition not only proves one’s ability to the world, but also boosts one’s confidence to continue to do what he/she has been doing. 1000petals, through its event ‘Future of India’, decided to honor such entrepreneurs who have been striving real hard to perform and excel at their businesses. With more than 4000 applicants who are passionate entrepreneurs from around the country, it was no easy task to choose the best of all in each category. The categories included Business excellence, customer satisfaction, leadership, innovation, financial growth, geographical growth, quality, technology and many others. 69 entrepreneurs from different parts of the country were chosen by the jury of experts, considering various attributes of the businesses. 30 April, 2016. 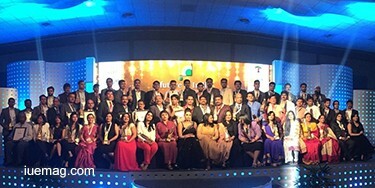 Hotel Lalit Ashok, Bangalore, witnessed some of the best upcoming business leaders through the award ceremony. 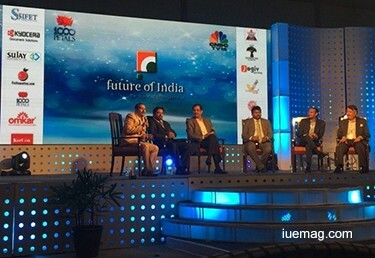 The event was graced by the existing business leaders as well. There were other associate partners who also became the reason to make the event more successful. The partners included Omkar - printing partners, Jogiv - social responsibility partner and fruitsexotica.com - online partner. The event was also supported by organizations like MK International Group, Kurlon, AIMS and many others. The awardees were chosen from different domains like consultation, health, fitness, food, education, e-commerce, hospitality, technology and many more. The enthralling awards function began with a welcome performance, immediately followed by the lighting of the lamp by the partners and the chief guest Shri R V Deshapande, Hon’ble Minister for large & medium scale industries & tourism, Govt. of Karnataka, after which Shri R V Deshapande shared his insights with the crowd. He also discussed about the power of the Karnataka state, especially the city of Bangalore, being the reason for growth of various business domains. He also mentioned about businesses having a vision that could be passed on to future generations, rather than having just a goal that could be achieved within few years time. The event was also graced by Shri Sudhakar Pai - Chairman & Managing Director of Kurlon Enterprise Limited, renowned Indian film actresses - Pooja Gandhi and Ragini Dwivedi, Venu Madhav - Director at the chain of India’s most popular coffee shop brand Cafe Coffee Day. Immediately after the energizing speech of Shri R V Deshapande, the first set of awards were presented to the entrepreneurs, for excellence in various categories. The awards presentation was followed by a panel discussion with the current business leaders, on the topic of ‘Spirit of Entrepreneurship’. Stories of growth, challenges, suggestions for faster growth, sustainability of business models, funding, systematic approach were some of the agendas covered through the discussion that also involved interaction with the audience through the Q&A. Through such discussions, the awards ceremony added more meaning to the lives of the budding leaders, by not only recognizing them, but also helping them move towards increased growth. The interested awardees were also promised to be mentored by the jury of experts. The tea break involved exchange of hundreds of business cards, that would end up with associations for excelling at businesses. 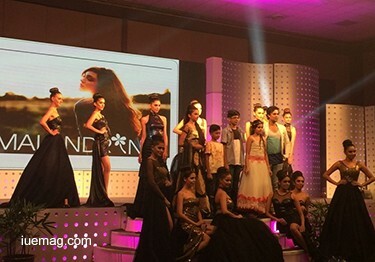 Between every set of awards distribution, the crowd was entertained with dance performances and fashion shows. The attendees also witnessed the launch of Saarthak Nari awards, that is expected to happen in the month of July, 2016. The awards will recognize women from around the country, who have been the reason to inspire the world through their work. The FOI awards successfully became a forum for recognizing excelling entrepreneurs, building associations and for inspiring other entrepreneurs to push themselves towards growth. The presentations were followed by the final photo shoot and the vote of thanks. Although the event officially concluded, the participants continued to engage themselves in networking and photo sessions. The awardees included Ayesha Singh from Creative Kidz, Keshav Bansal - Intex Technologies, Pradeep Gowda - 1000Yoga, Dr. Srimathy Kesan - Space Kidz India, Byju - Think & Learn Pvt Limited(BYJU’s), Rohini Mundra - intelligence Pvt Limited, Rupali Dash - DCHILD Solutions, Siddhi Nawani - Blisaura Events Studio Pvt Limited, Uzma Irfan - Prestige Group, Suhail Ahmed - Presidency Group of Institutions, Sunny Harisinghani - Intellitaap Solutions Pvt Lmited, Dr. Kerron Reddy - AIMS Group and many others. No matter how big the growth of an individual is, an appreciation to acknowledge the performance is always a great way to fasten his/her growth rate. FOI Awards has not only been the reason to acknowledge the performances, but has also given a dream to the younger generation to take action and to grow faster. The organizers are sure to witness more younger achievers in the list of awardees for its next awards ceremony.